Everyone seems to be getting Marshmallow these days, and even if the general reaction is "well, about time", it's still great that more phones get to be running on Google's latest OS version. 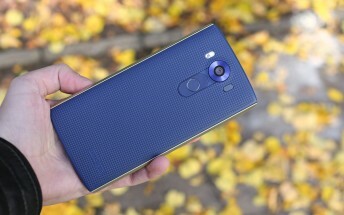 The LG V10 is already a member of that club, but these being regional and carrier-specific matters, the rollout has so far taken place in South Korea and in Turkey, as well as Verizon's units in the US. Apparently, T-Mobile will follow suit next week, wacky product manager Des Smith has disclosed on Twitter. Well, about time. If you happen to have forgotten, the LG V10 is a beast of phablet, with a 5.7-inch QHD screen plus an extra strip on top, which can display time and notifications, and also serve as a list of shortcuts to most used apps - it's like an always-on display, only better. And then there's the unique manual control you're getting when shooting video, right down to choosing the frame rate between 1fps and 60fps and fine tuning the audio levels captured by the 4 mics. Check out our review, we have those covered in detail.